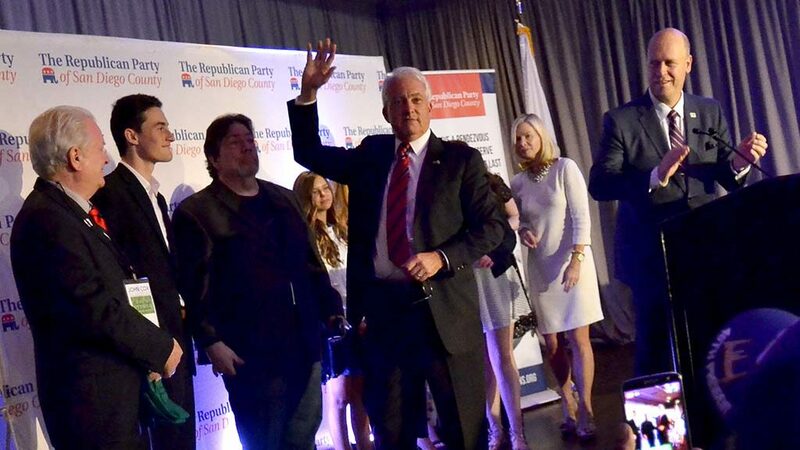 Though Republican challenger John Cox led in early returns, Lt. Gov. Gavin Newsom was elected Tuesday as the next governor of America’s most populous and wealthiest state. 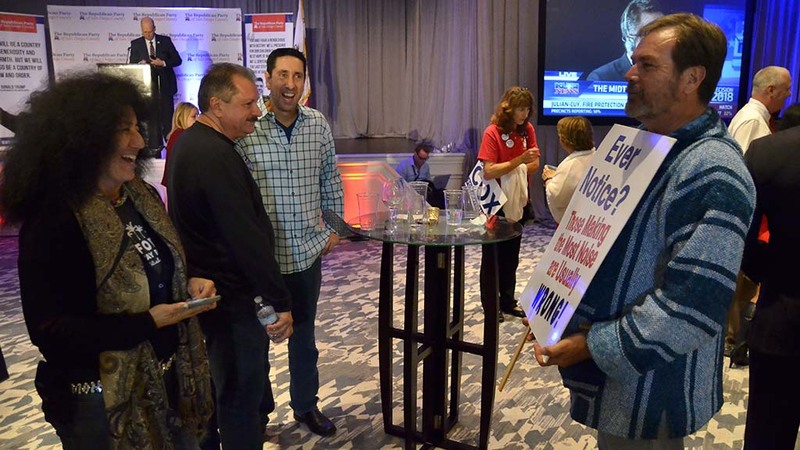 With 91.5 percent of precincts reporting statewide, Newsom had 59.3 percent to Cox’s 40.7 percent. 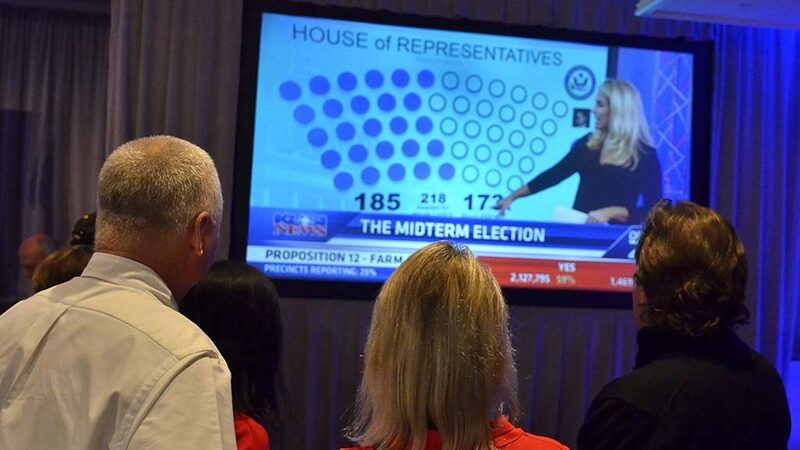 The Associated Press called the election for Newsom shortly after 9 p.m.
Cox, a Rancho Santa Fe resident, even lost his home county. San Diegans favored Newsom 53.5 percent to 46.5 percent with two-thirds of precincts reported. 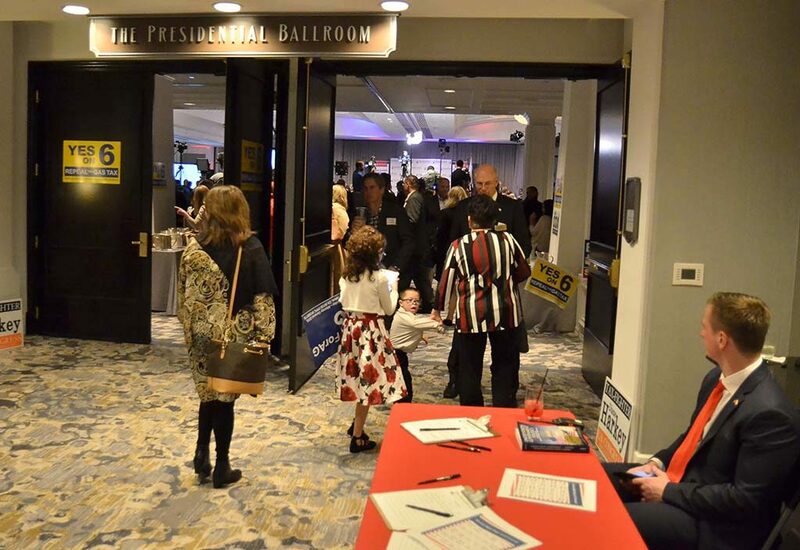 But after a farewell speech at the U.S. Grant Hotel, where he took credit for fueling a larger GOP turnout in the state, Cox was asked about his political future. Will the longtime Illinois resident stay in San Diego? “Oh, God, yeah. I love it here. Are you kidding? It’s paradise,” he said. “I’m not going anywhere. No matter how bad it is to live here, I can afford it, thank God. I feel bad for the people who can barely afford it. Newsom told the Los Angeles Times he wasn’t taking anything for granted. “I’m anxious, always, because there’s a lot at stake. I don’t want to experience what we experienced in 2016,” Newsom told the newspaper in a reference to Donald Trump’s election. Now ready to replace his boss, Gov. Jerry Brown, after serving two terms as his second-in-command, Newsom has proposed a goal of building 3.5 million new homes by 2025 through an expansion of the low-income housing tax credit program and other incentives. Another of his top priorities is universal healthcare for Californians and he has expressed support for Senate Bill 562 that aims to create a single-payer system, although Newsom has also raised concerns about the hurdles for passage and funding. Cox repeatedly points to the state’s high poverty rate, underperforming schools and lack of affordable housing as problems that happened “on Gavin Newsom’s watch” and says he would solve the state’s housing shortage by streamlining approval processes and changing the California Environmental Quality Act. Cox also focused on repealing Brown’s $52 billion gas tax increase, which he calls a regressive tax, urging voters to support Proposition 6. Cox’s proposals on education focus on school choice and reallocating funds rather than new government spending. After distancing himself from Trump early on in his primary campaign, Cox picked up the president’s endorsement before the June 5 primary. 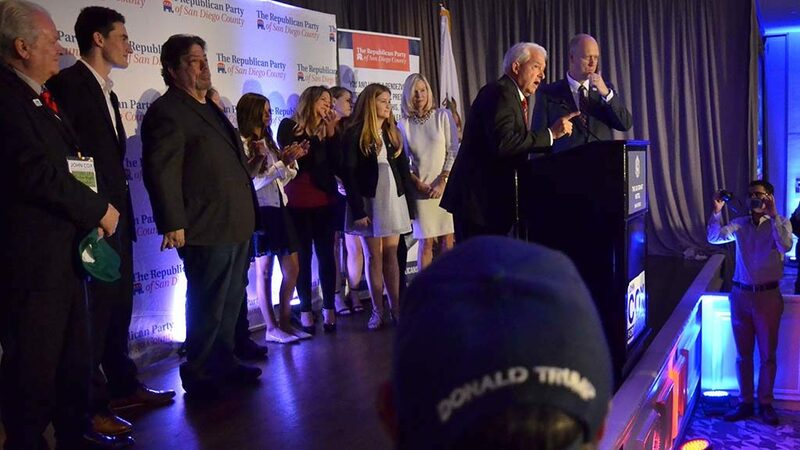 The San Diego-based businessman has since echoed some of Trump’s themes on the campaign trail, including his plan to “clean out the barn” in Sacramento as Trump promised to “drain the swamp” in Washington, D.C.
Cox took a hard line on immigration — including supporting construction of a wall along the U.S.- Mexico border and ending “sanctuary state” policies — though he has also said he was against separating children from their parents at the border. Thank you to each and every one of my supporters for their hard work these past days, weeks and months. Thank you to my family, and especially my wonderful wife Sarah, who has been an anchor in what, at times, were very rough seas. I spoke with Lt. Gov. Gavin Newsom a few minutes ago to wish him and his lovely family well. I also offered him my most sincere congratulations. I could not be more proud of the race that we ran. We focused on the issues that people really care about — affordability, the high cost of food and gas, failing and unsafe schools, and homelessness and a lack of affordable housing. 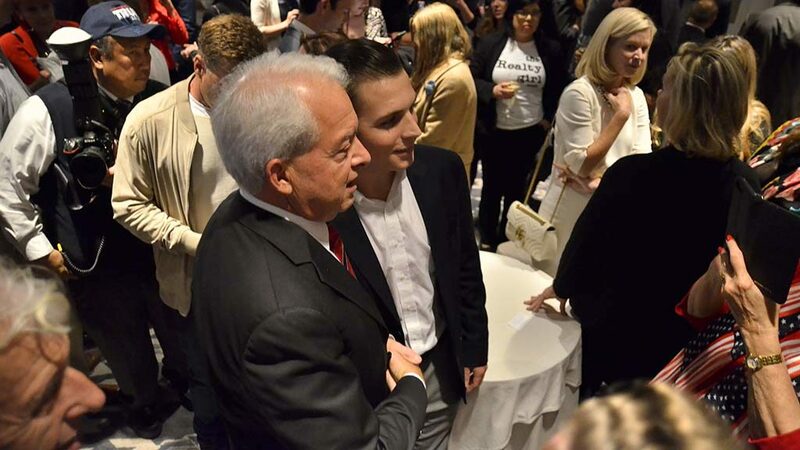 This is the future — it’s the future of our Republican Party here in California and we MUST continue to be the voice that holds the political class accountable. I am proud that we also gained the support of many Independent voters and even some Democrats. I also want to thank those voters for their support and say that I pray that our new governor and our legislature acknowledge those voters and not treat this result lightly. There are a lot of people in this state who are hurting and while we didn’t win, I’m convinced those are people whose voices need to be heard. I hope our state leaders take this result to heart. Business, as usual, can’t remain in place. It’s also clear that millions of Californians know that our special interest fueled system isn’t working — and substantial change is needed. When the sun comes up tomorrow — and it always does in California — we will greet it with hope, and with optimism because, if we continue to believe we can make a difference, there really can be a shining city on a hill. Times of San Diego asked Cox if President Trump’s unpopularity in California hurt his chances. “I’ll leave that to people who are smarter than me,” Cox replied. Contributing editors Ken Stone, Toni McAllister and wire services contributed to this report.